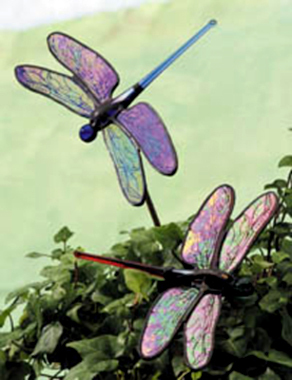 Create the wings of these beautiful stained glass dragonflies. 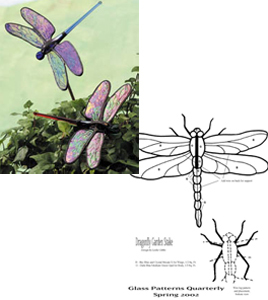 A perfect addition to your summer garden, this free pattern is courtesy of our creativity partners at Glass Patterns Quarterly. Design by artist Leslie Gibbs. You can find a full-size copy of this pattern pattern as well as complete directions in Glass Pattern Quarterly's Spring 2002 Magazine. Visit www.GlassPatterns.com to order a back issue, or subscribe to their magazine to get their latest designs sent right to your door!